Along with this breakdown, it was found that single men in their twenties and thirties without higher education were the biggest time wasters. While the incidence of time-wasting seemed to decline with age, it only went from 91% of people 18-25 to 78% of people sixty and older. Finance and banking saw the most time wasting out of any industry, and arts, media, the entertainment business, construction, engineering, and design were not far behind. Everyone is aware that they are wasting time at work, so what can be done about it? Why Do People Waste Time at Work? To get to the bottom of how to stop time wasting at work, you have to first understand why people are engaging in time-wasting activities. While a lack of work rings in as the most popular reason that people are wasting time (and these are self-reported statistics of full-time workers), being easily distracted, unsatisfied, having no incentives, being bothered by boss or coworkers, being sleep-deprived or stressed, too low of wages, or too little time off were also all reasons given. While some time wasting is considered by employees to be necessary for productivity, what can be done about time wasting that is costing the employer money every single workday? While you cannot control your employees’ every move, you can create a culture that values working hard and not time wasting. Here are some ideas for stopping the time leak at your company. Your employees need to be engaged in meaningful work to stay focused. If someone is often bored or finishes their work early, find more challenging tasks for them to do. Provide your employees with the bigger picture, and how their daily work fits into the larger company goal. Engaging your employees will keep them interested in the work at hand, and less likely to be distracted. In the age of smartphones, blocking websites like Facebook on work computers is not going to do much, except maybe cause your employees to become disgruntled. Blocking sites is a sure way to discourage employees from being attracted to work for you, and seems old-fashioned. Having employees turn to their personal devices might cause them to become even more distracted. Instead of using harsh, restrictive measures, you want to create a culture that values time and productivity. Easier said than done, right? If you are the boss of numerous employees, and you are always browsing social media or playing basketball outside, your employees will follow suit. Don’t expect more of your employees than you are willing to put forth yourself. Not only will a good leader be a great example of productivity, they will lead their company with specific goals and expectations. If your team has nothing to work towards, they are less likely to make a final push at the end of the day, the week, or the month. Set realistic and specific goals and remind your employees of them frequently; they will be more likely to try and reach for those milestones. If you set no expectations, you can’t blame your employees for setting their own—including wasting time. Eliminating time wasting starts the moment an employee is hired, and what is communicated to them at this time is crucial. First, having a clear vision of what you want your business to become will help you hire the right people for the job, both in skill and ability to fit in with the company culture. Looking for people who are extremely motivated and hardworking could prove to be more important than someone who is qualified but lazy. In addition, hiring hardworking employees creates a culture where people strive to do better and outperform previous records and achievements. How will you know if your employees are wasting time if you have no way to measure their performance? This goes along with having clear goals; you need to have a way to let your employees know if they are performing well. If your employees know that they are being held to finish a certain amount of work they will be more likely to make it a priority and stop wasting time. If you have no way to judge whether or not your employees are working, they will know that and continue to do what they want. Only having meetings when you absolutely need to shows your employees that you value their time as well, and that you know they have important work to get done. If you fill their days with meetings that could have been an email, they will see that time wasting is the way of your company. They also may become annoyed or discouraged if their time is taken up with endless meetings. 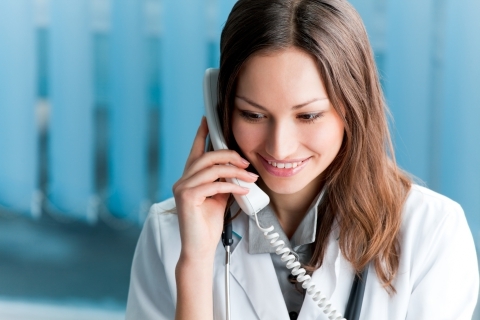 Keep the meetings to a minimum and your employees will respond with better productivity. If there is no incentive for your employees to stop wasting time, they will continue to work at the same pace they always do. Money talks, and if you want your employees to step up their productivity, paying them more for doing so will be extremely motivating. Paying your employees commission on their work can incentivize them to work harder to receive a bigger paycheck. A great way to help your employees manage their time more efficiently and stop time wasting is to utilize a timesheet system that allows them to easily track their time. Once they see just how much of their time is actually spent working, it might be provocation enough to get more done in the workday. 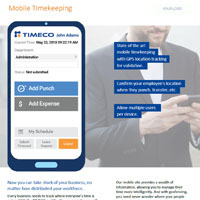 Timeco has online time clock software that can help, and is an easy way for your employees to track their time. Your employees can track time spent on different tasks, and can get a clear picture of exactly where their time is going. Utilizing time tracking software is a great way to eliminate time wasting in your company! So if you are suspecting that your employees are spending more time checking their Facebook feeds than actually getting anything done, you need to take steps to create a culture that is productive. Getting to the root of why your employees are wasting time helps, and giving them reasons to work hard through bonuses and incentives also is motivating. You know your employees are prone to wasting time, so take proactive steps to help them be more focused and get more done! ©2019 Tmeco - Do not copy. All rights reserved.